Logo branding and product packaging for Cookie-It-Up. Line of cookies available in large food stores and grocery markets. A summer project in 1983 led to a business that is still going strong as it approaches its 35th year. While the fantastic cookies have not changed over time, the impact and retail reach has. Our scope involved a logo refresh and packaging design to suit a variety of distribution spaces. 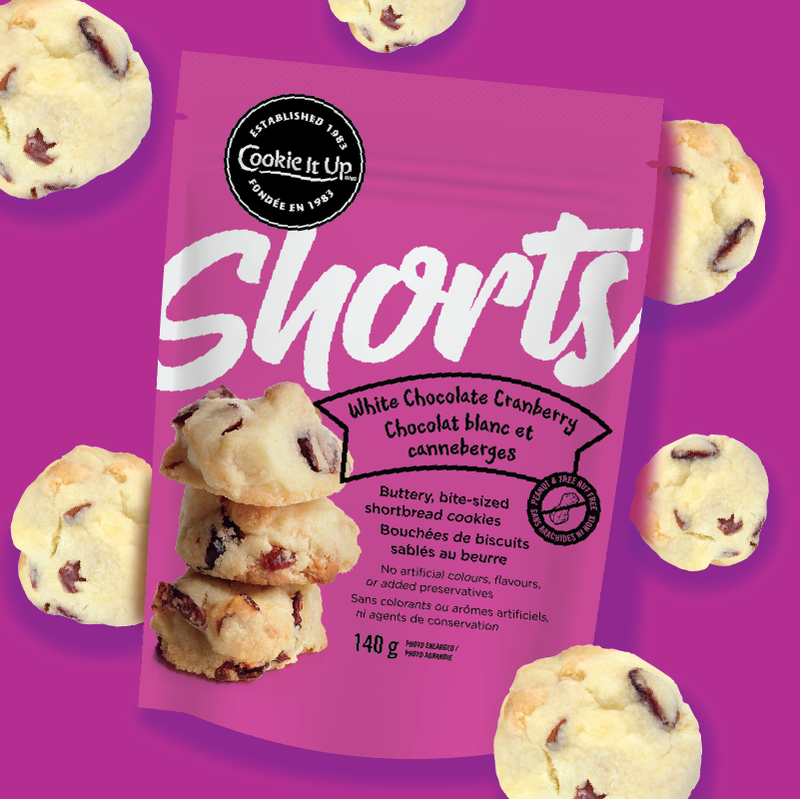 From Holt Renfrew to Whole Foods; Porter Airlines to Chapters/Indigo, the Cookie It Up brand serves as a retail anchor and consumer favourite. Watch for updates as we add to the brand’s collection.